Established by Tim Turvey and Helma van den Berg in 1988, Clearview Estate Winery continues as a family owned and operated business. Clearview Estate produces iconic wines with pedigree, estate grown and hand crafted since 1989. 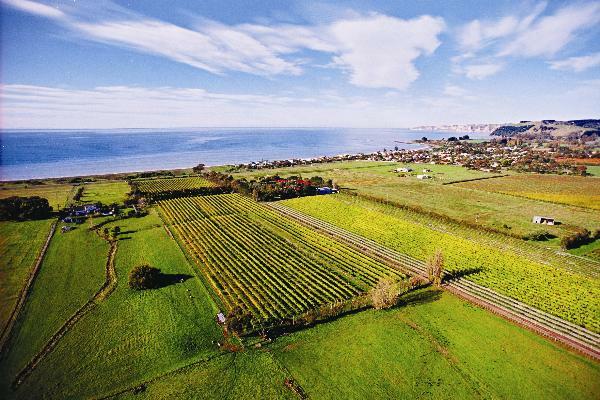 Situated in Te Awanga, on the coastline of Hawke's Bay, the Estate enjoys a unique microclimate, an extended growing season and refreshing sea breezes. An unwavering focus on quality produces wines of great fruit intensity, with a strong commitment to sustainability in all aspects of the business. Established by Tim Turvey and Helma van den Berg in 1989, Clearview Estate Winery continues as a family owned and operated business. Producing iconic wines with pedigree, estate grown and hand crafted by people with passion since 1989. Situated by the beach the coastal impact is clearly expressed through wines showing vibrant acidity and concentrated flavour profiles.